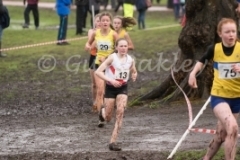 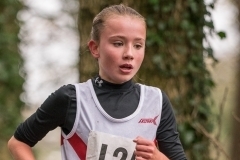 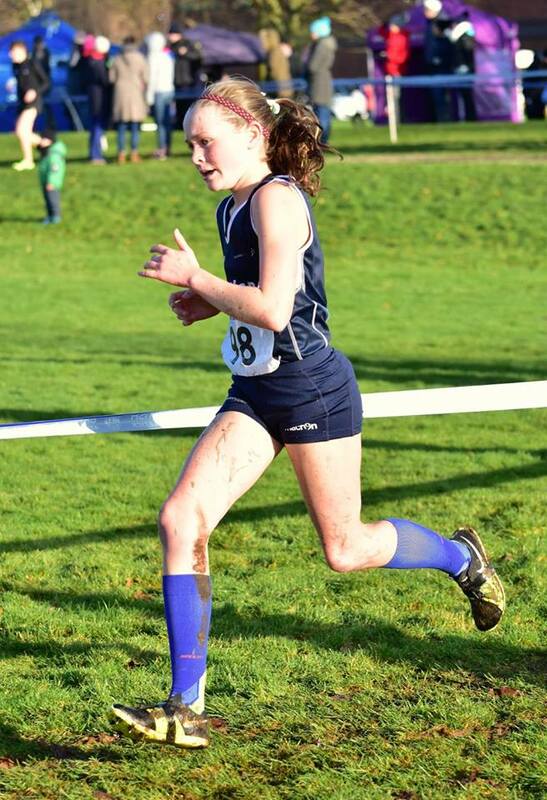 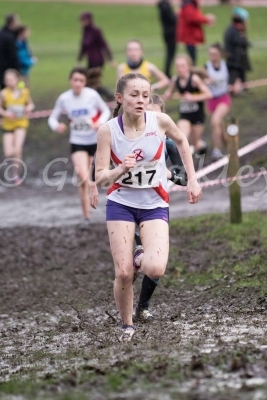 Last weekend saw Seaforth U15 athlete Rosie Davidson compete for Team Scotland in this years Celtic Cross Country Championships which took place at Greenmount Campus, Antrim, Northern Ireland. 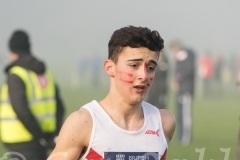 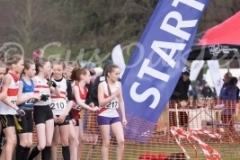 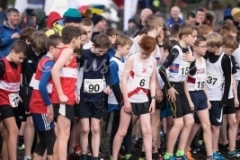 The event was integrated into the latest leg of the British Cross Country Challenge with International teams representing Ireland, Northern Ireland & Ulster, Wales and Scotland competing alongside many club athletes competing individually in their respective age group races. 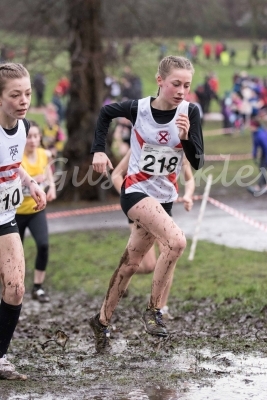 Rosie was selected after her excellent silver medal run at the West District Cross Country Championships which took place at Irvine last month. 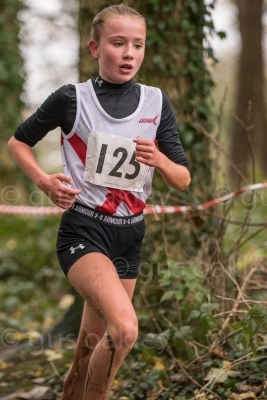 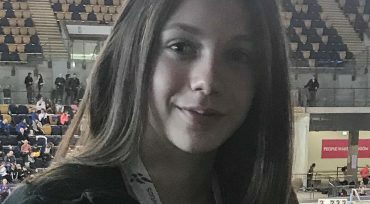 With there being no U15 age group for the International teams Rosie was selected for the U17 age group which meant a step up in competition for her which she took in her stride. 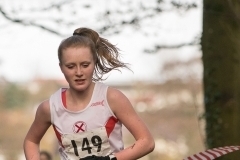 After a tough 3600m race with the U17 & U20 women running together Rosie came home as 7th U17 in a time of 15.05 with the Scottish U17 team taking first place. 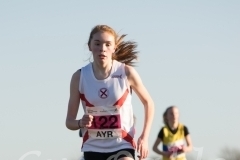 Congratulations to Rosie from all at Ayr Seaforth. 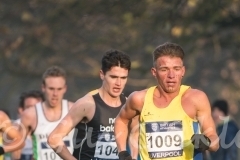 A smaller contingent than that of recent years represented Ayr Seaforth at this years Liverpool leg of the British Cross Challenge which took place as usual at Sefton Park in Liverpool. 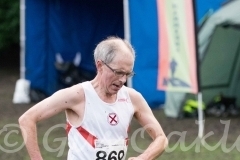 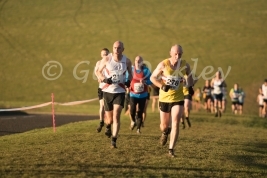 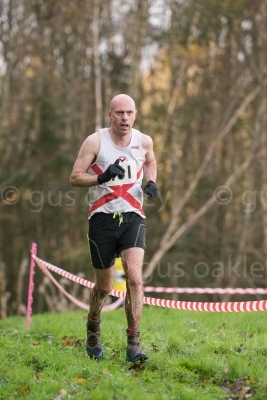 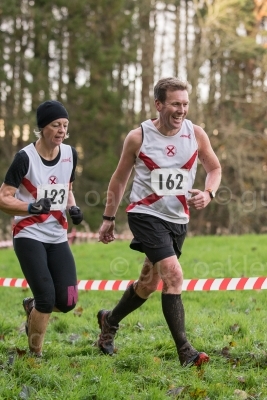 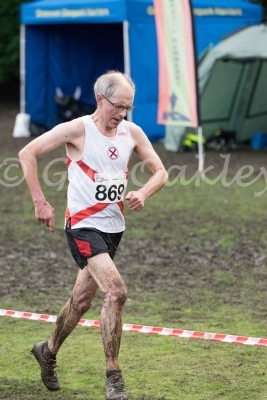 This is a series of races at different venues in England, Wales & Ireland with the Liverpool race also doubling as the European Cross Country Trials for those in the older age groups. 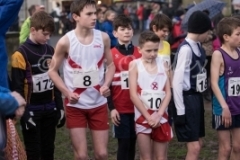 Those younger athletes competing gain valuable experience of participation in a much larger field with several thousand spectators watching them and they also get to rub shoulders with the sports elite. 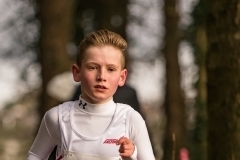 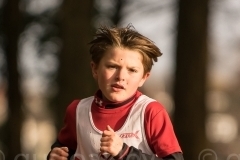 The U11 races are over a 1900m course and in the U11 Boys Fraser McIntyre came home in 59th place (8:23) while in the U11 Girls race Iona Hubbard had a remarkable run to take 6th place in 8:15. 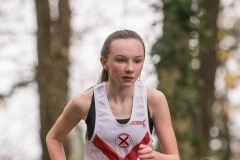 The U13 age group took on a 3000m course with Brodie McGregor taking 57th in the boys with a time of 12:26 and in the girls race Islay Hubbard finished in a creditable 19th (12:23) with Julie Dunn 92nd (14:01). 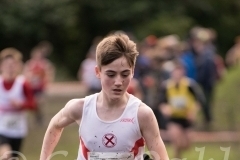 The U15 age group covered the same 3000m course where Alex Crooks and Euan Bell took 89th (11:26) and 101st (11:39) respectively. 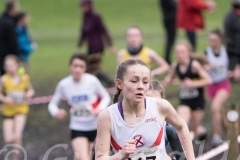 In the girls race there was a fantastic effort from Rosie Davidson who finished in an excellent 8th (11:22) while Morven Hubbard was 47th (12:36). 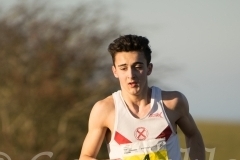 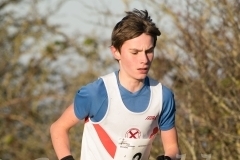 The final representative for Seaforth on the day was in the U17 Mens race which was over a 5500m course, Scott Sprang claiming 68th (20:17). 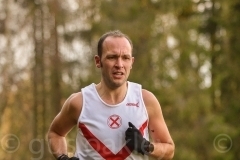 This years National Short Course Cross Country Championships took place on Saturday 11 November at a new venue at Kirkcaldy High School. 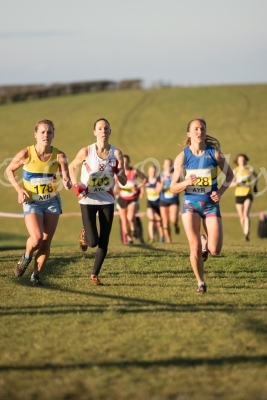 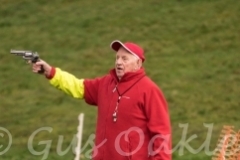 As the title suggests these races are run over a shorter than normal cross country course with the U15 age groups taking on a 2000m course, the U17 running over a 3000m course and the U20/Seniors a 4000m course. 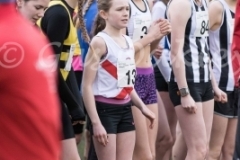 there were only a handful of Seaforth athletes who made the trip this year and the performance of the day was undoubtedly that of U15 Girl Rosie Davidson who took an impressive 3rd place despite not being at 100% to run. 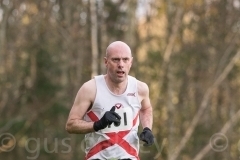 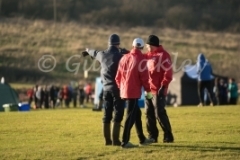 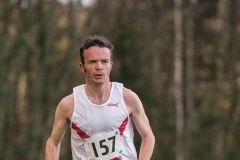 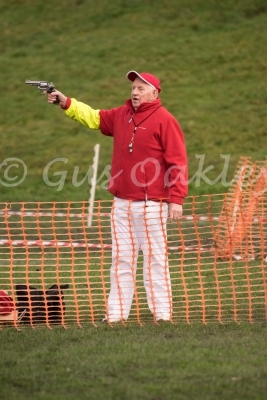 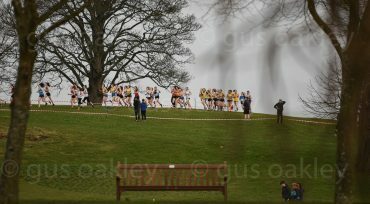 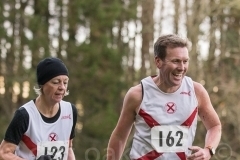 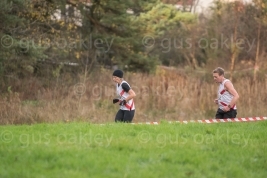 Last Saturday saw this year’s National Cross Country Relay Championships take place at its usual venue in Cumbernauld. 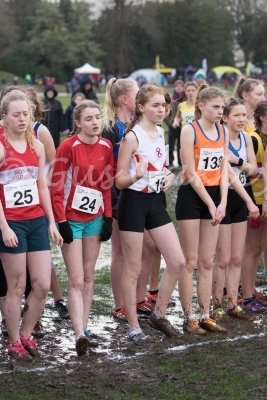 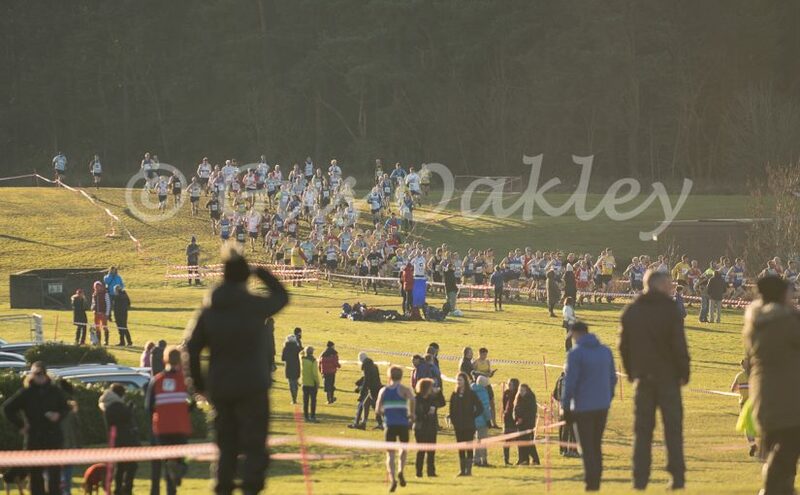 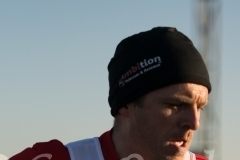 While conditions underfoot were slightly firmer than usual the course with its undulating terrain still proved a very difficult test for the 2600 athletes who had entered. This is a team event with junior teams consisting of 3 athletes who each run over a 2500m course, teams are made up of an u13 who hands over to either another u13 or u15 who in turn hand over to either an u15 or u17. 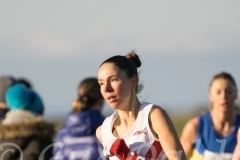 The Senior Women’s teams have 4 runners over a 4000m course with the Senior Men also having 4 athletes over a 4000m course. 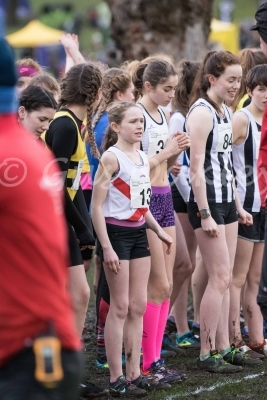 First up on the day was the Young Females where Seaforth had a commendable 12th place finish with the team of Islay Hubbard (u13), Rosie Davidson (u15) and Charlotte McDowall (u17). 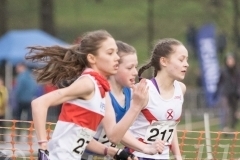 The B Team of Claire McLaughlin (u13), Morven Hubbard (u15) and Evie Mackay (u15) finished in 30th place while the final complete Seaforth team of Emma McMillan (u13), Bethany Alexander (u15) and Isla Kirk (u150 were 62nd. 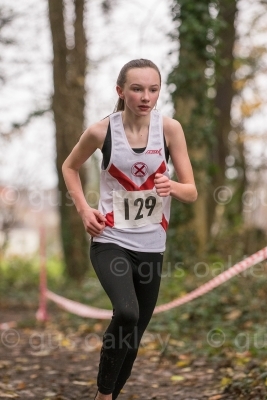 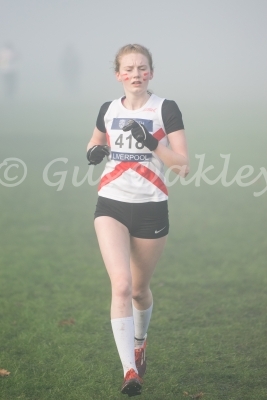 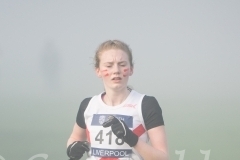 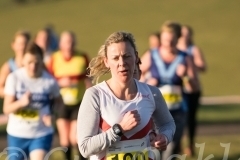 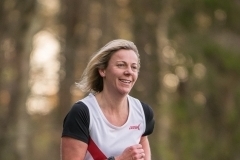 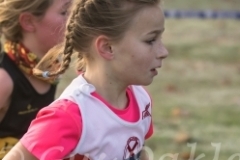 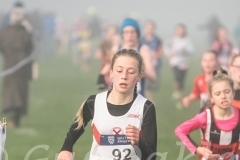 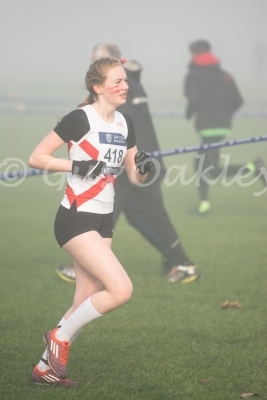 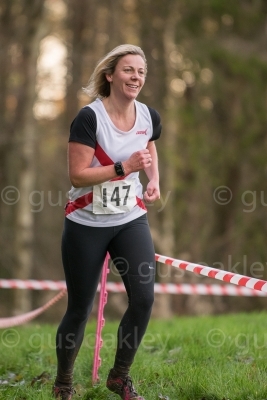 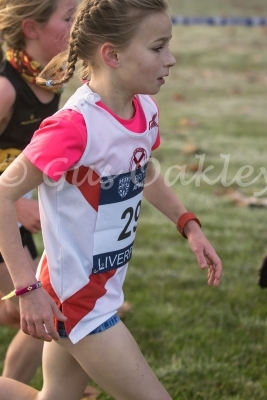 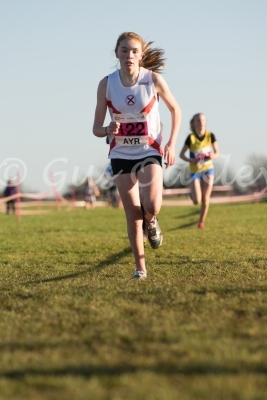 The D Team consisted of a solo runner who was u13 athlete Tess Crooks. 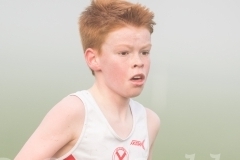 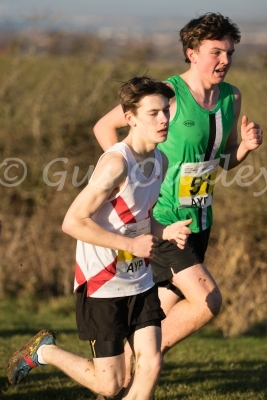 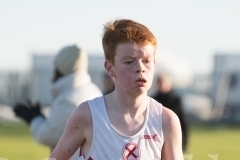 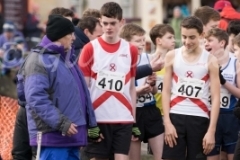 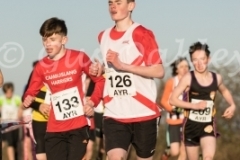 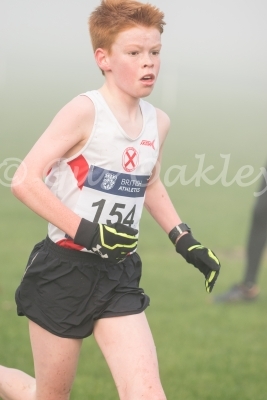 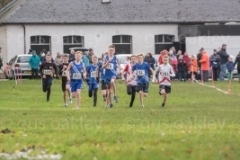 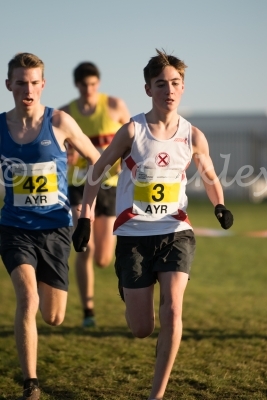 This was followed by the Young Males where the Seaforth A Team of Adam Currie (u13), Alex Crooks (u15) and Declan McGhee (u17) were 23rd, the B Team of Conor Scobie (u13), Euan Bell (u15) and Scott Sprang (u17) were 42nd followed by the C Team of Calum Hannah (u13), Blair Gemmell (u15) and Logan Cotter (u17) in 75th place. 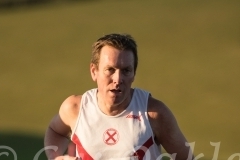 With no Senior Female teams being fielded it was the Senior Males who completed the days participation for Seaforth. 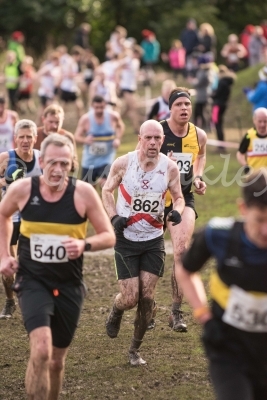 A massive 88 complete teams finished the race with the Seaforth team of Kenny Neill, Stephen McCrorie, Brian Robinson and Grahame Hopper taking 36th place. 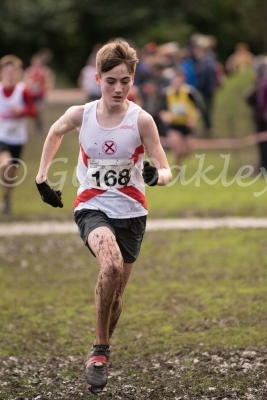 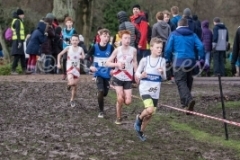 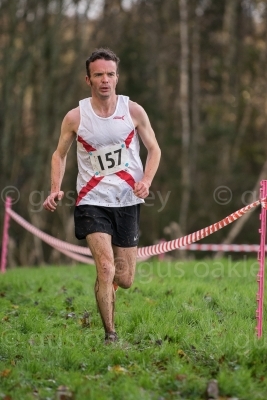 This years Scottish National Cross Country Championships took place yesterday at an incredibly muddy Callendar Park in Falkirk. 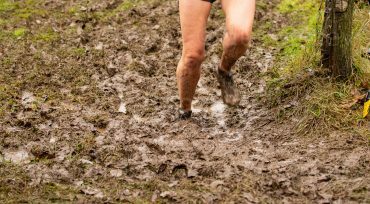 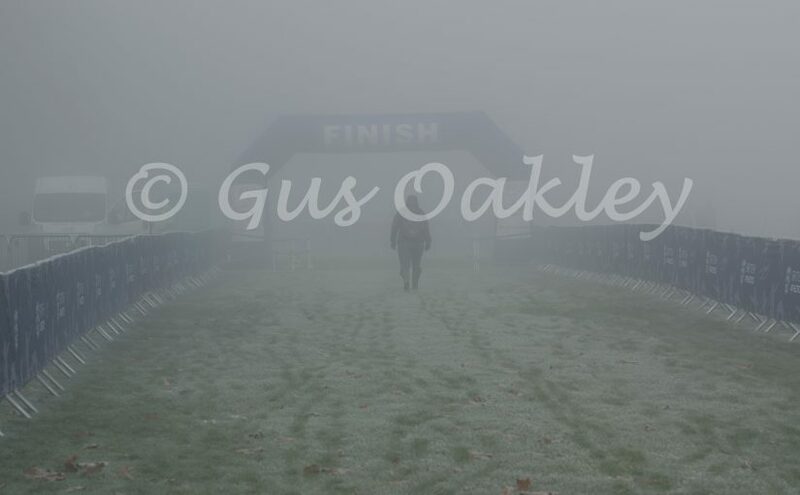 Heavy overnight rain had saturated the course making it a true test of cross country running with the course holding so much water that the venue owners actually considered cancelling the Championships on the morning of the event. 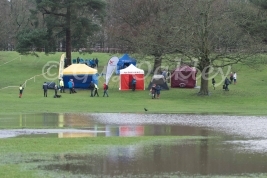 Fortunately they agreed to a move of both the start and finish areas which allowed it to take place.The area immediately in front of Callendar House where the finish area is usually positioned was flooded with about a foot of water lying which made for a makeshift bathing area for athletes washing themselves down after racing.This year saw yet another record amount of entries with no fewer than 2330 entered. 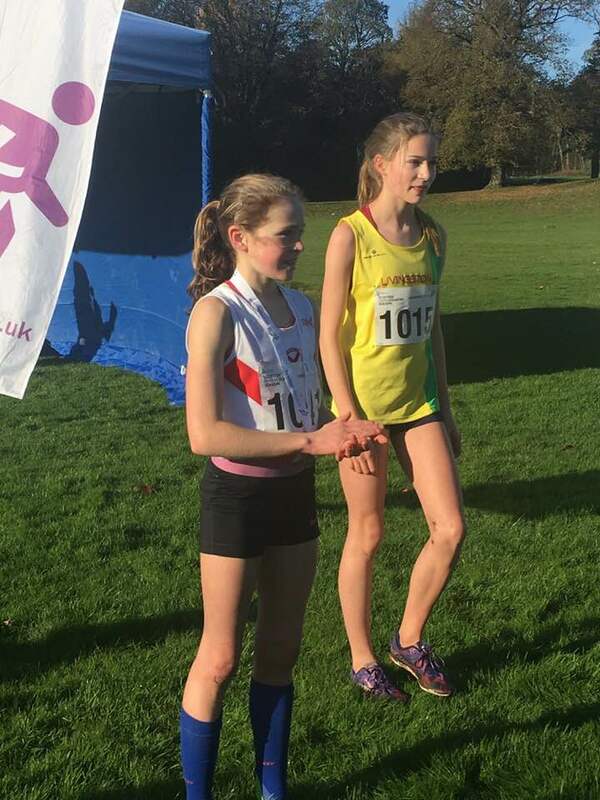 Performance of the day for Seaforth was the 5th place finish of Morven Hubbard in the U13 girls which was closely followed by U15 girl Rosie Davidson who came home in 7th place. 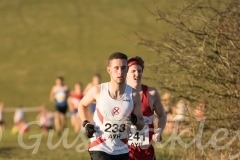 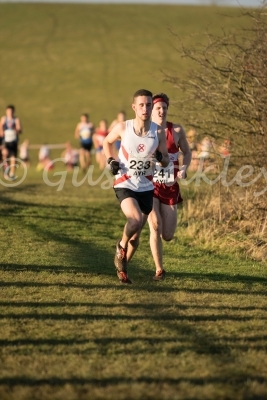 The Senior Men had once again the opportunity to compete against Olympian Callum Hawkins who set out his stall early in the race and claimed his second National title. 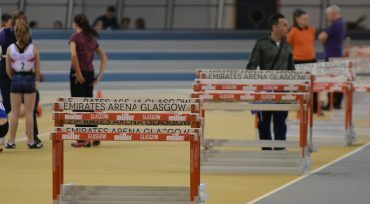 Results of all Seaforth athletes can be found in the tables below. This years Inter District Cross Country Championships took place at Holyrood Park, Edinburgh on Saturday with 6 Ayr Seaforth athletes included to represent Team West. 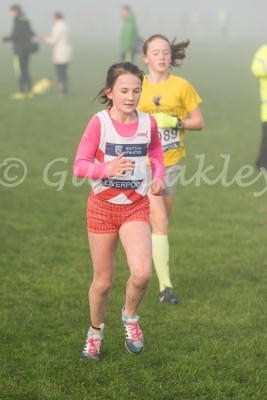 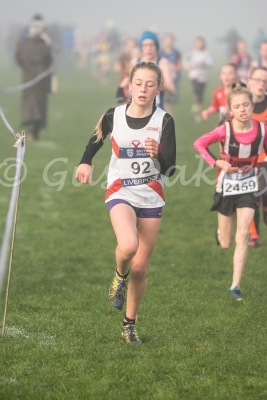 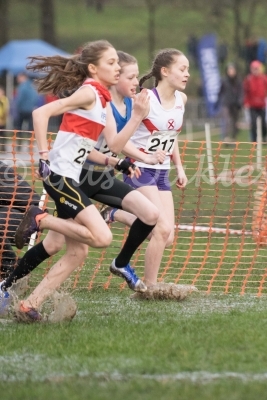 In the U13 Girls race Morven Hubbard covered the 3km course in a time of 12:01 to finish in 10th place which was enough for her and her team to take Team Gold. 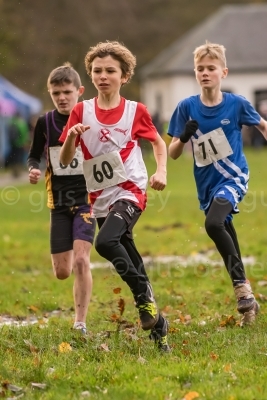 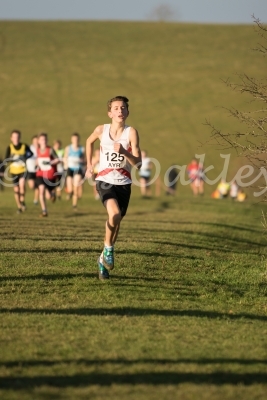 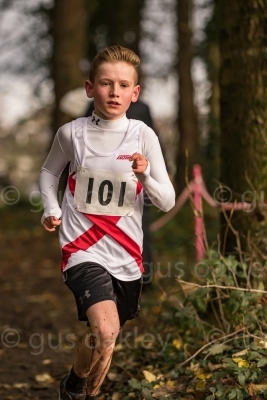 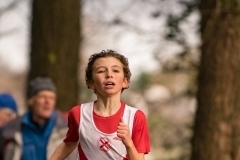 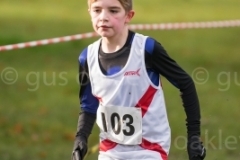 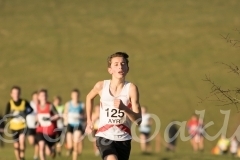 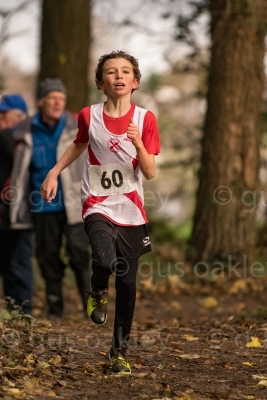 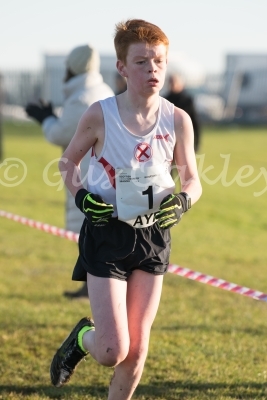 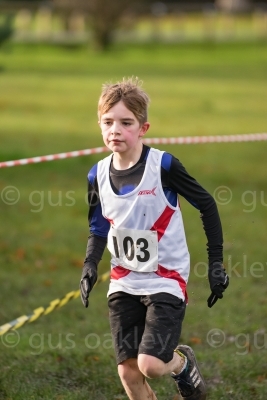 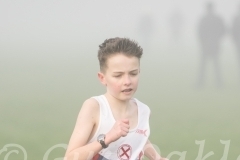 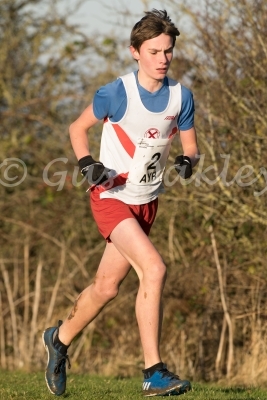 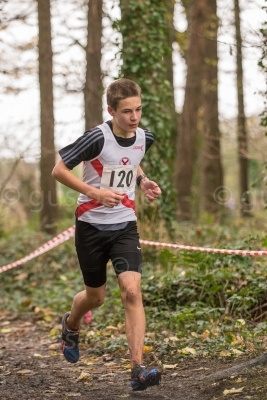 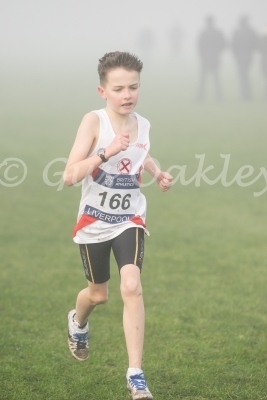 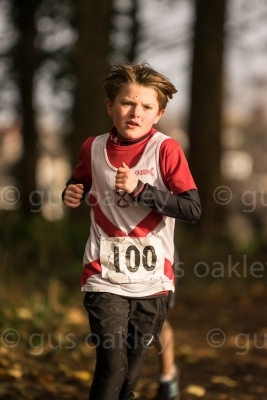 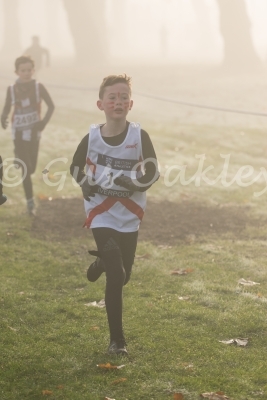 The U13 Boys race saw Alex Crooks finish in 25th(11:37) and Euan Bell 38th(12:03) over the same 3km course. 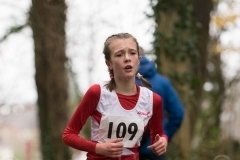 In the U15 Girls it was the turn of Rosie Davidson who had the best Seaforth run of the day for 6th place(15:11) over a 4km course which also saw her take home a Team Gold medal as well. 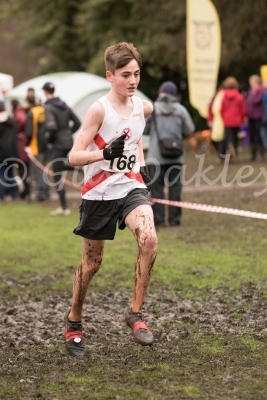 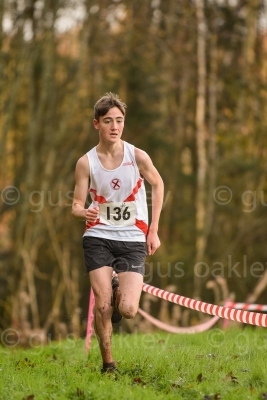 Not to be outdone Lewis Ross who was competing in the U17 Mens race came home in 14th(22:17) over a 6km course with his team also taking Team Gold. 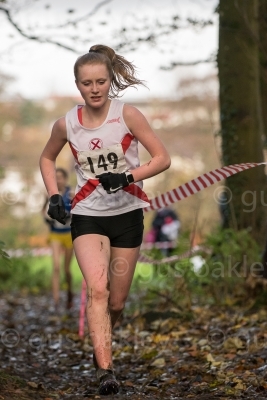 The Senior Womens race saw Laura Wallace finish in 30th place over the same 6km course in a time of 24:40. 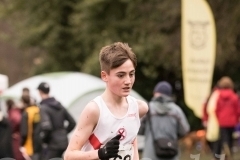 After the Inter District Races the athletes were able to watch some of the worlds elite runners competing with the likes of Mo Farah & Callum Hawkins contesting the 8km International race which saw Hawkins lose out on the line to American athlete Leonard Korir. 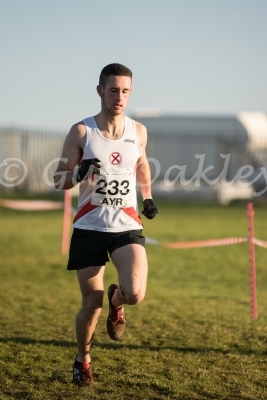 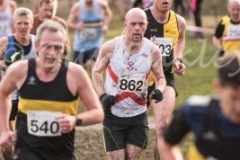 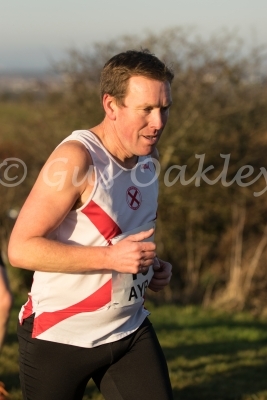 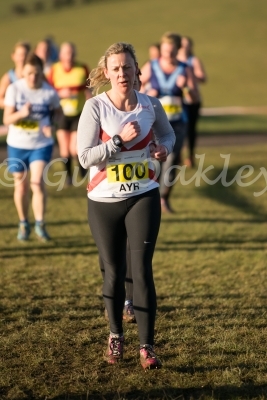 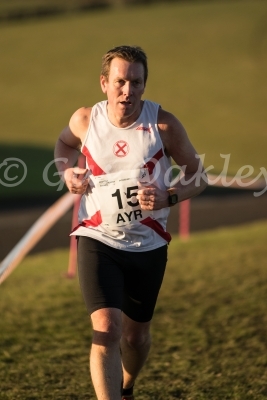 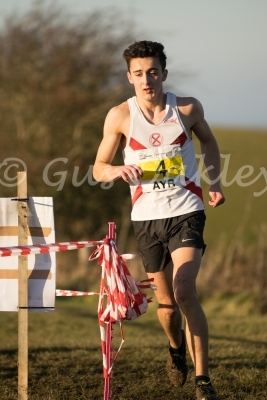 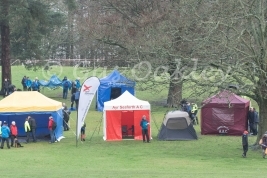 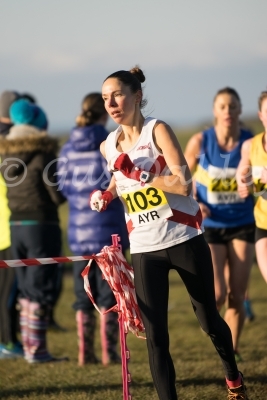 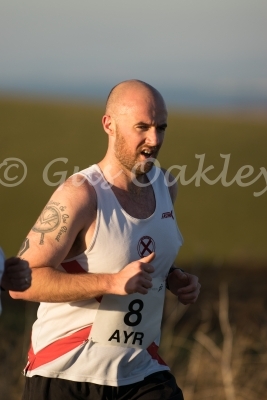 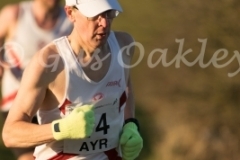 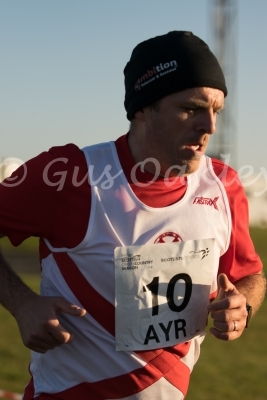 Sunday saw this years West District Cross Country Championships take place at the site of the old Digital factory at Mosshill, Ayr as it was hosted by Ayr Seaforth. 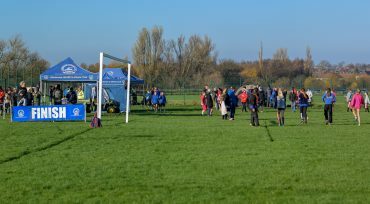 This was the first time Seaforth had hosted such an event and the club are very grateful to have been given the opportunity to host such a prestigious event on our home turf. 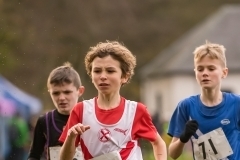 Indeed it would not have been possible without the assistance of Centaur Properties who operate the facility and gave their kind permission to use the land as well as the Aberlour Child Care Trust who allowed the use of their premises for changing and administration purposes. 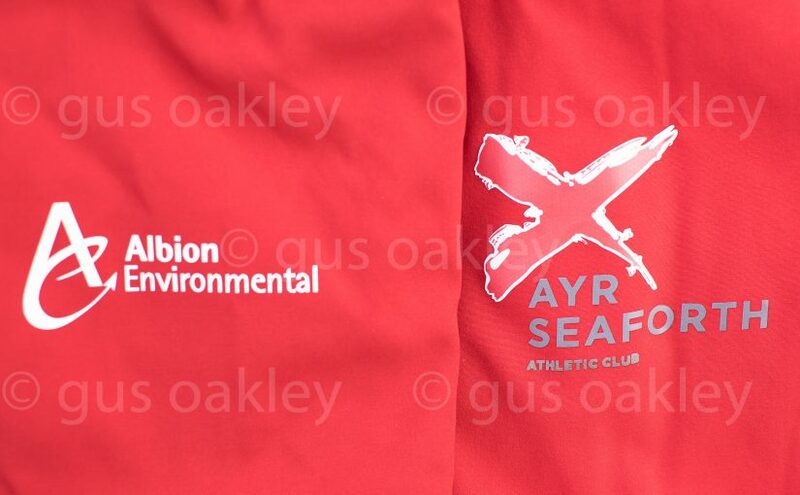 A mention of gratitude must also go to South Ayrshire Council for their assistance in particular the staff at Dam Park Stadium. A very tough course was designed for the event which proved a real test for all age groups as it should at a major Championship. 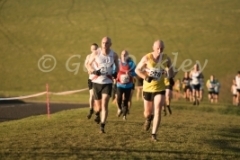 Conditions on the day initially seemed firm underfoot but as the glorious sunshine broke through the early morning frost several parts of the course became quite soft which when mixed with the long undulating slopes made for a real test of fitness and determination. 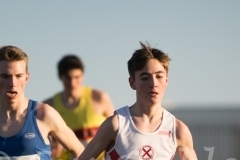 A total of just short of 800 competitors took part and once again there were some notable performances amongst the junior athletes from Seaforth. 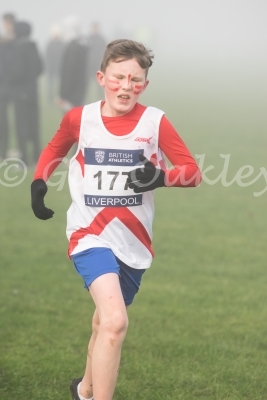 First up were the U13Girls followed by the U13 Boys who each ran over a 3200m course. 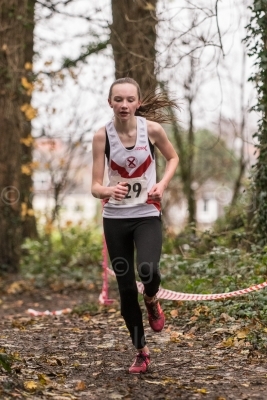 In the girls it was Morven Hubbard who led the way coming home in 6th position with a time of 12:38 followed by Tess Crooks (28th) 13:50 while in the boys race first Seaforth athlete home was the brother of Tess, Alex Crooks (7th) 11:53 who was followed by Euan Bell (16th) 12:37 and Sam Drummond (36th) 13:23 with the boys team coming 4th in the team competition. 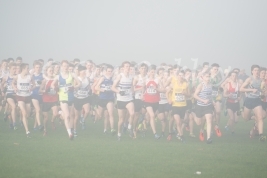 The U15 Girls and then U15 Boys were next covering a 4000m course. 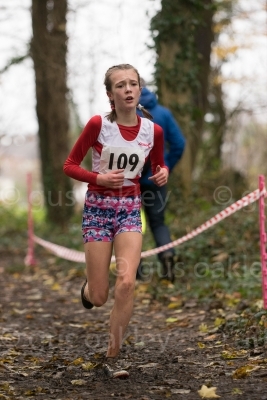 In the girls race the best Seaforth finish of the day went to Rosie Davidson (5th) who covered the course in a time of 15:59 with team mates Isla Kirk (22nd) 17:27 & Charlotte McDowall (46th) 19:03 taking 5th team place. 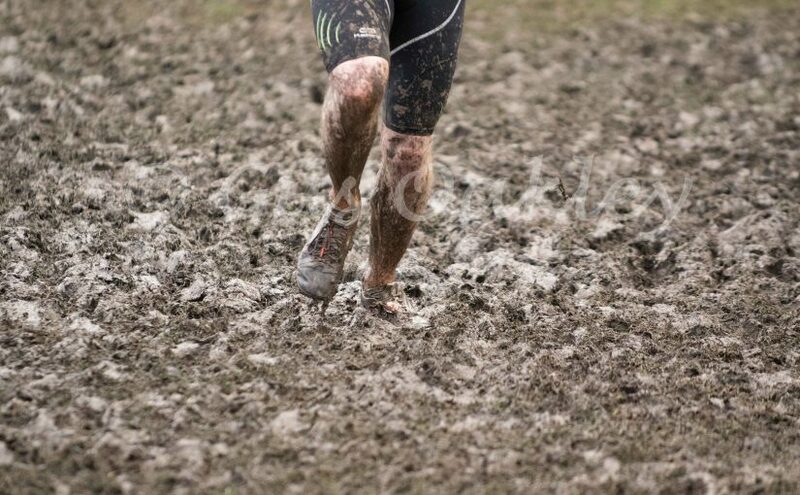 The boys race saw Scott Sprang (15th) 15:39 , Logan Cotter (22nd) 16:08 & Patrick Smiley (47th) 17:34 take the team 7th place. 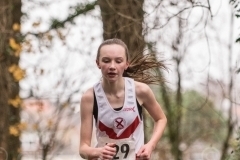 The U17 & U20 Women then ran together over a 5000m course with sole Seaforth U17 athlete Caitlin Chilton take 20th place in a time of 28:41. 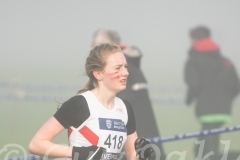 The Senior Women were next in a race that covered a distance of 6400m. 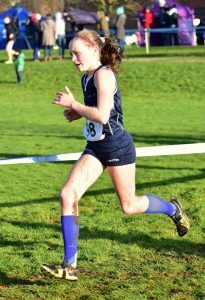 Laura Wallace led the way with a 9th place finish in 27:45 followed by Ruth Kirk (73rd) 34:53 & Abby Cunningham (114th) 41:11. 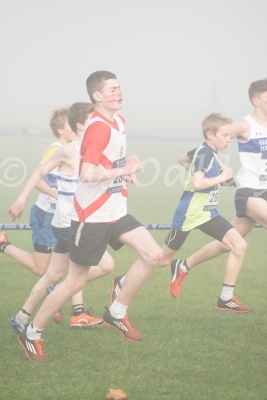 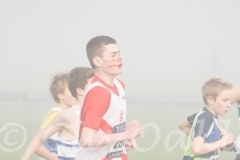 The U17 & U20 Men set off together although the former had 6400m to cover while the latter had 8000m. 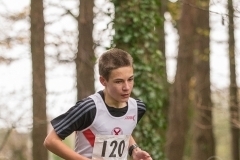 The U17 race saw Lewis Ross lead the way in 19th (25:33) with Declan McGhee (25th) 26:40 and Aidan Copland (27th) 27:09 close behind. 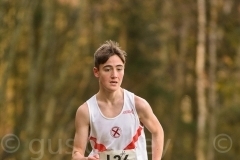 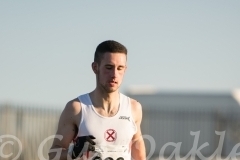 In the U20 Mens race sole Seaforth entrant Fraser Stirling finished in a very creditable 7th place with a time of 28:43. 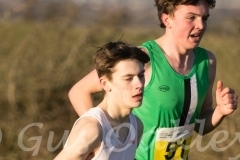 As is usual the final race of the day was the Senior Men who had a 10,000m 4 lap race ahead of them. 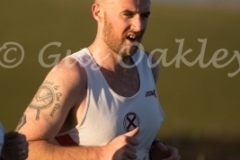 Several Seaforth athletes were involved in this race with Kenny Neill (36th) 39:24 the first home in a massive field of 251 runners. 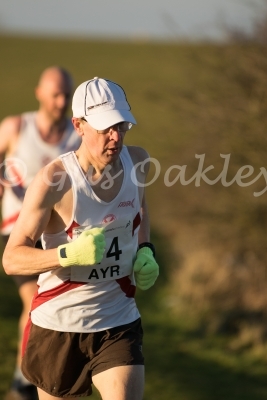 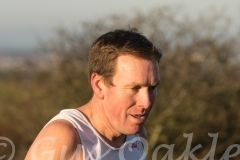 Other Seaforth positions were Craig Brown (164th) 47:21, Iain Pettigrew (185th) 49:07, Ian Young (191st) 49:38, Andy Crichton (197th) 50:18, Peter Laing (215th) 52:47, John Hannah (217th) 53:11, Stuart McColm (227th) 54:23 and Tim Downie (233rd) 55:36. 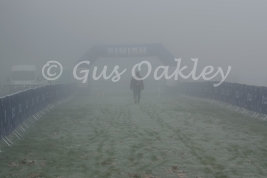 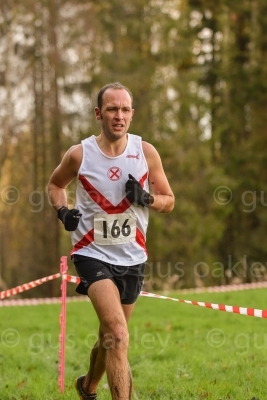 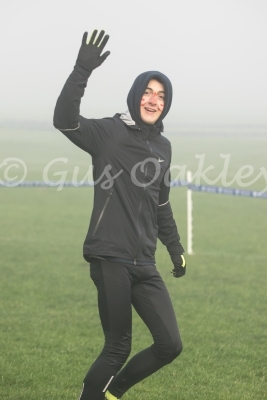 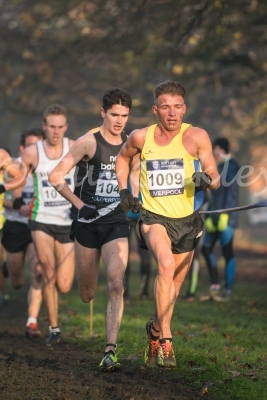 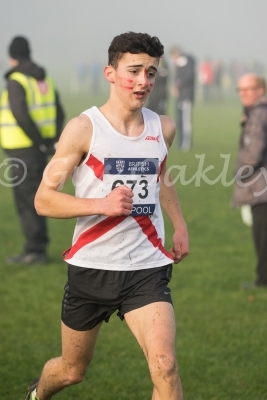 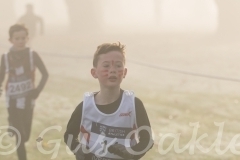 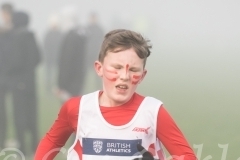 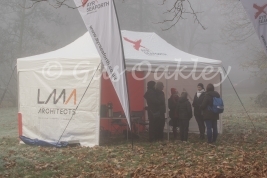 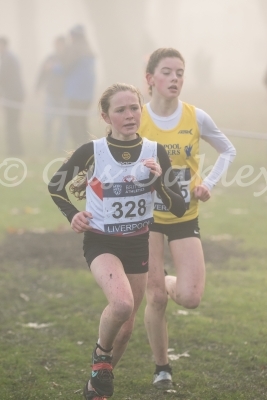 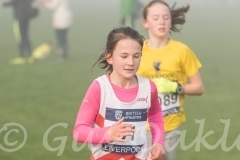 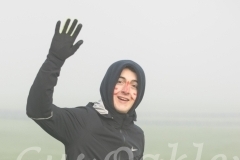 This years Liverpool leg of the UK Cross Challenge series took place on Saturday at an exceptionally foggy Sefton Park, Liverpool and again a sizeable contingent from Ayr Seaforth made their way down by coach the day before. 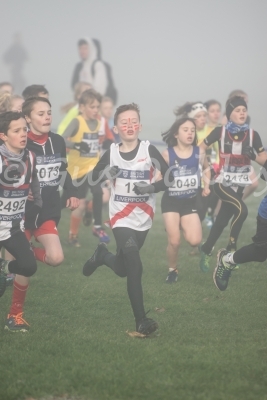 The first race of the day was the combined U11 boys & girls race which was over a 1.9km course. 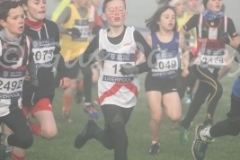 In the U11 boys category young Brodie McGregor who was making his first trip to the event put all his hard training to good use finishing in 19th place from a field of 70 with a time of 7:53, in the U11 girls race Iona Hubbard also acquitted herself very well with an excellent 16th place finish from a field of 84 finishers in a time of 7:59. 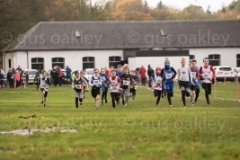 Next up it was the turn of the U13 girls and then boys who each ran over a 3km course. 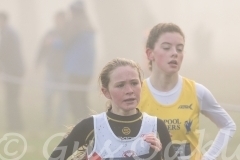 The best finish of the day went to Morven Hubbard who claimed 10th place in a time of 11:25 followed by younger sister Islay who was 78th in 13:08 with 147 competing this race. 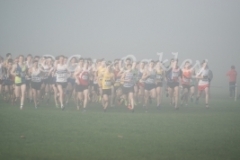 The boys race saw 162 athletes fight it out with Alex Crooks coming 25th in 11:05 followed by Euan Bell (49th) 11:27 & Sam Drummond (97th) 12:34. 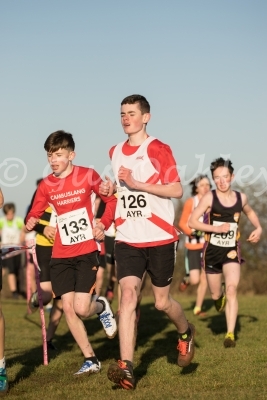 The U15 boys were followed by the U15 girls who each ran over the same 3km course as the U13 age group. 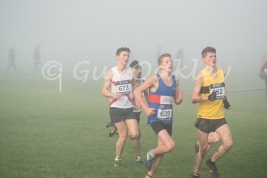 Of the 139 runners in the boys race Scott Sprang (48th) in 10:34 was followed by team mate Greig Oakley (111th) in 11:58. 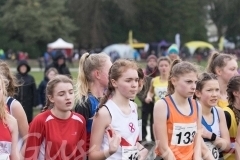 The U15 girls had 126 competitors and saw Rosie Davidson claim 26th in 11:21 followed by Emma Frew who was 41st in 11:40. 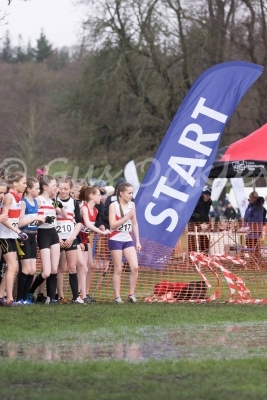 The U17 Women ran next over a 4.4km course and were followed by the U17 men who had a 5.5km course to negotiate. 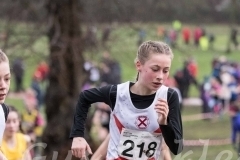 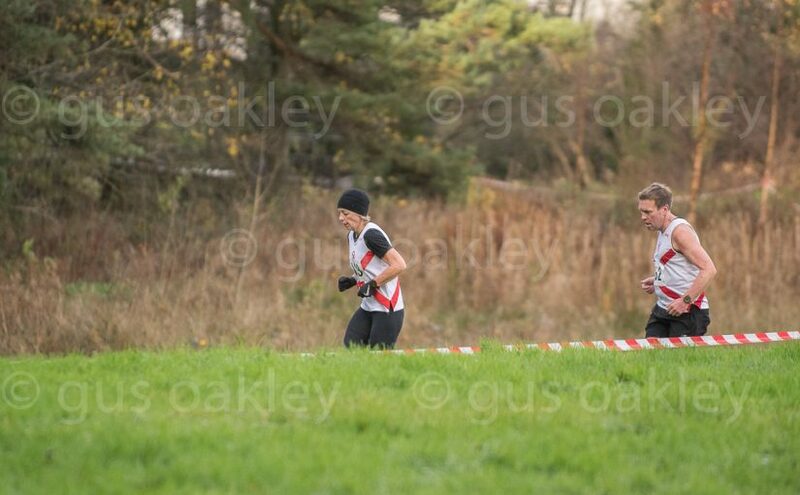 In the womens race it was Caitlin Chilton who represented Seaforth coming home in 76th position in a time of 20:37 and Lewis Ross in the mens race finished in 77th place with a time of 19:16. 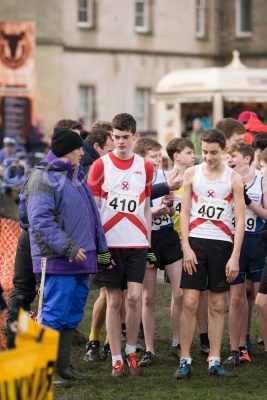 With competition for Seaforth athletes over after the U17 age groups everyone was then able to watch some top class competition in the senior races with Scottish Olympic athletes Andrew Butchart & Calum Hawkins on view in a race which was won by Butchart.